Some of us may already know that the Roman Catholic church, more precisely its Jesuit priests, were behind the ‘pre-trib’ doctrine. 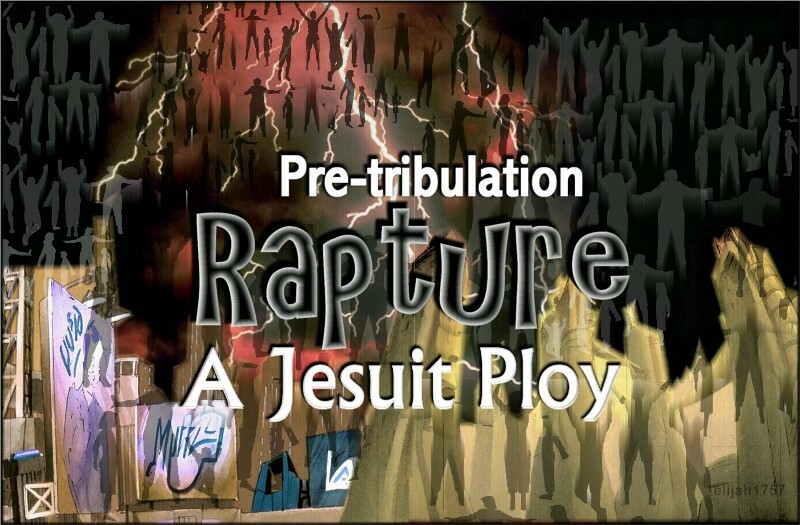 The ‘pre-trib’ is a dimension of the heretical ‘dispensational futurism‘ based on the displaced 70th week of Daniel as an end-time, 7 year period of great tribulation. This false teaching was disseminated by the Plymouth Brethren, most notably John Nelson Darby and the Darbyites as well as other major players such as James Todd, John Henry Newman, Cyrus Scofield, Samuel Maitland, and Edward Irving. The promotion of dispensational futurism in America in the 20th century has its deepest roots with the Dallas Theological Seminary of which founder, Lewis Sperry Chafer, was a student or protegé’ of Cyrus Scofield, “whose best-selling annotated Bible popularized futurism and dispensationalism among fundamentalist Christians.” (italics quoted directly from Wikipedia). Further details can be found at the source of the following excerpt. The Jesuits passed their doctrine onto Edward Irving (1792-1834), a Scottish Presbyterian and forerunner of the Pentecostal and Charismatic movements. Irving translated Lacunza’s work from Spanish into English in a book titled “The Coming of Messiah in Glory and Majesty,” published in London in 1827 by L.B. Seeley and Sons. Edward Irving was a Charismatic preacher from Scotland and had a small congregation. A young girl (15-years old) by the name of Margaret McDonald had a series of visions in the early 1830s. These visions supported a pre-tribulation rapture of the saints as established in the writings of Francisco Ribera. She wrote a letter to Irving concerning her visions and Irving brought her revelations to a prophecy conference in Dublin Ireland in 1830 which was held at Powerscourt Castle. Edward Irving aggressively promoted Futurism, the Jesuit created rapture doctrine based on Ribera’s lies. 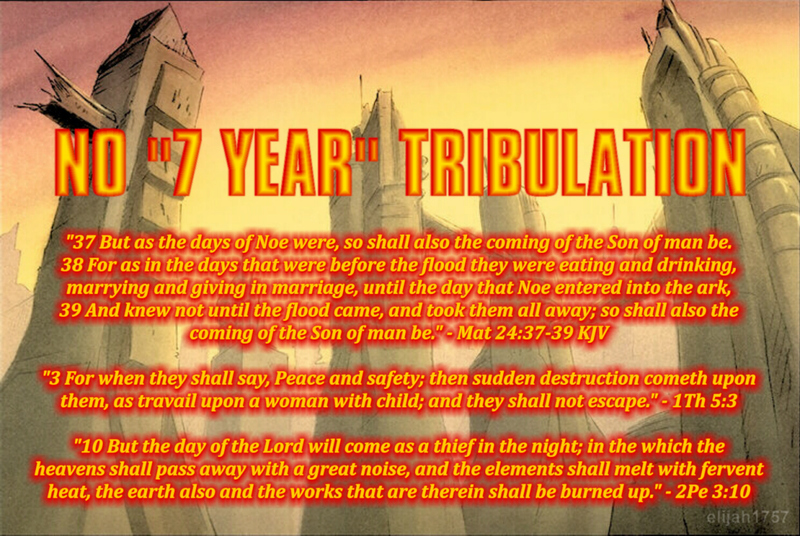 From England and Scotland the Jesuit created Pre-Tribulation Rapture doctrine grew and then spread to America. It was John Nelson Darby (1800–1882) who also attended the prophecy conference at Powerscourt Castle who was the first American preacher to zealously spread the Jesuit inspired false doctrine. With so many Jesuit/RCC fingerprints on these players, their associations, and their apparent influencing materials, it is not beyond the stretch of imagination to propose that the young lady who supposedly had the visions of a secret catching away of the saints prior to the ‘day of the Lord’, the pre-tribulation rapture, may have been herself a product of a Jesuit device, a plant so to speak. 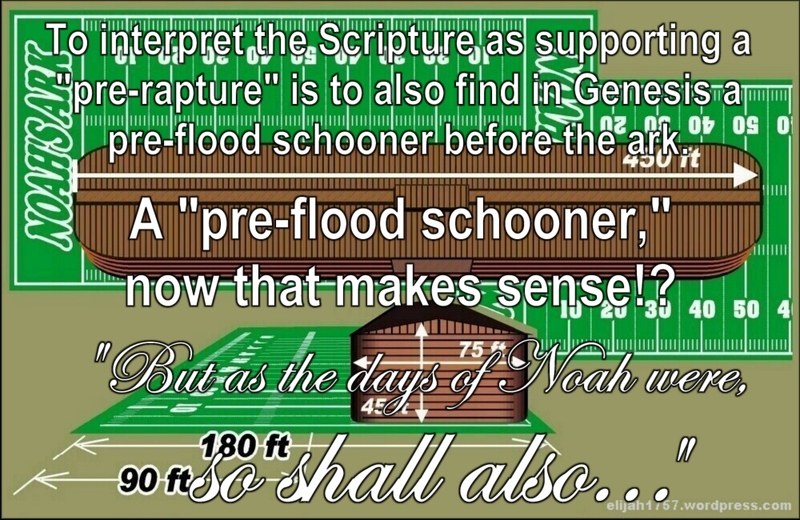 To interpret the Scripture as supporting a ‘pre-tribulation rapture’ prior to the final apocalypse or ‘day of the Lord’ is to find also in Genesis a ‘pre-flood schooner’ that came along before the ark.